Zweirad GINZINGER. It’s rather cool, well it’s freezing cold. Doesn’t matter – it’s the passion that incites us. Arriving at the dealer we see plenty of bikes standing outside. We are allowed to choose. 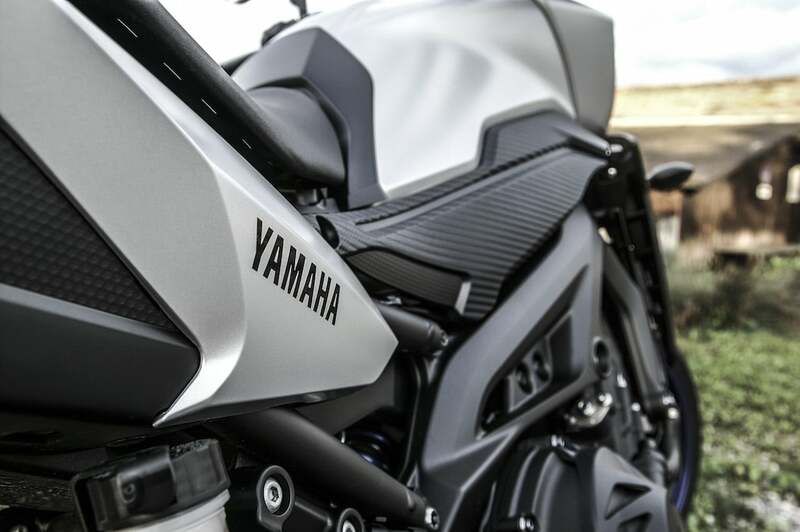 Having the temperatures in mind we aren’t eager to get the bikes with the strongest engines or the most noticeable design. Our requirement today: heated grips and a high windscreen. 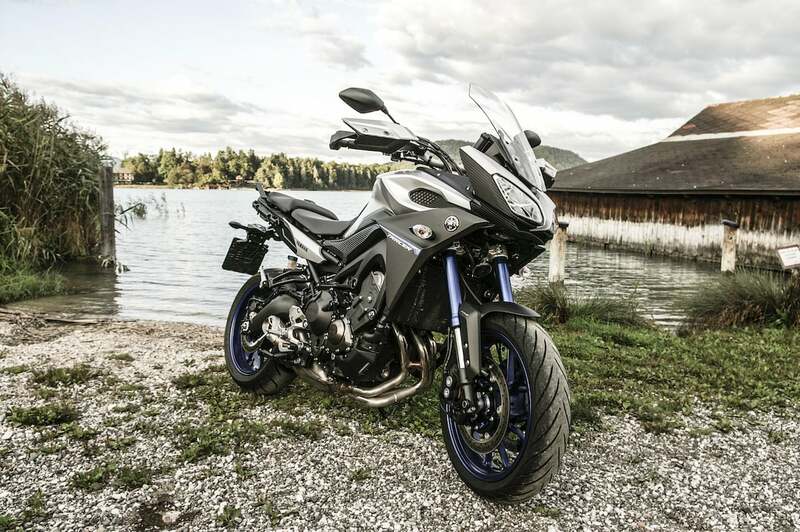 First we take the Yamaha MT-09 Tracer for a ride. 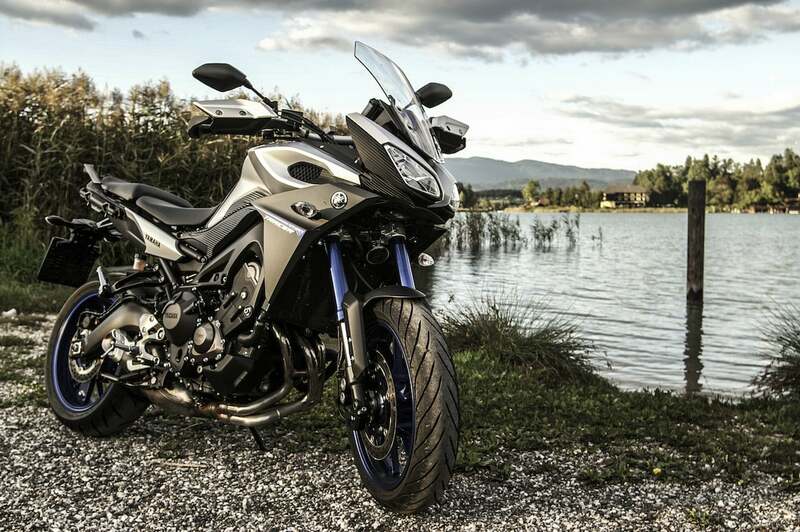 The special edition of the well-known MT-09 can first be distinguished on the outside. So a 09 with more parts built on to it. But there is more to it – apart from the fact that there is more space on the bench seat (2cm in length and width for the driver and 5cm for the co-driver) the bike provides more comfort on longer rides. The reason for that is a higher sitting position (3cm) and higher and wider handlebars. Very convenient. It’s even possible to adjust the seat and the windscreen in height. That’s great for tall drivers. 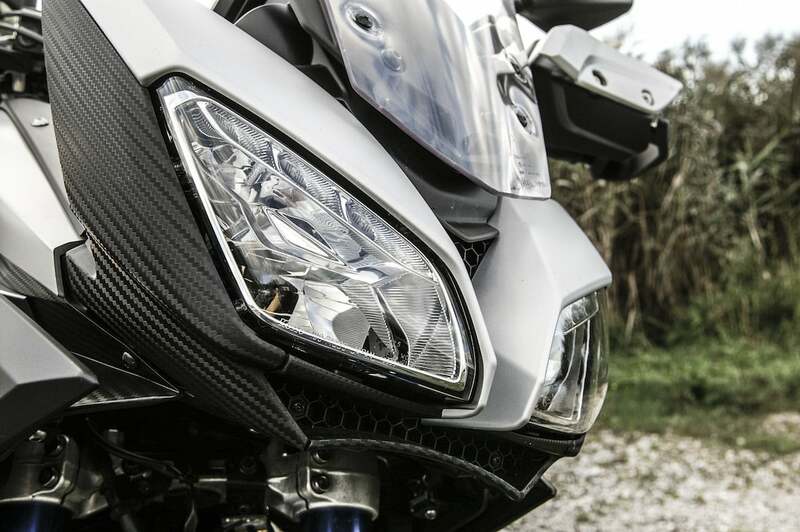 The question for us remains: What kind of bike is the Tracer? How can you classify it? It’s too high for a racer and the sitting position is too upright. 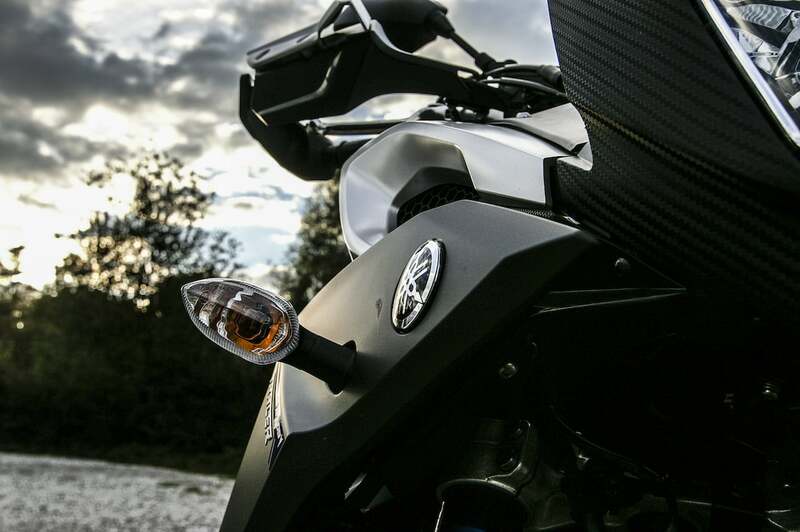 Neither is it a classic tourer like the BMW 1200 GS. To be honest, we don’t know. 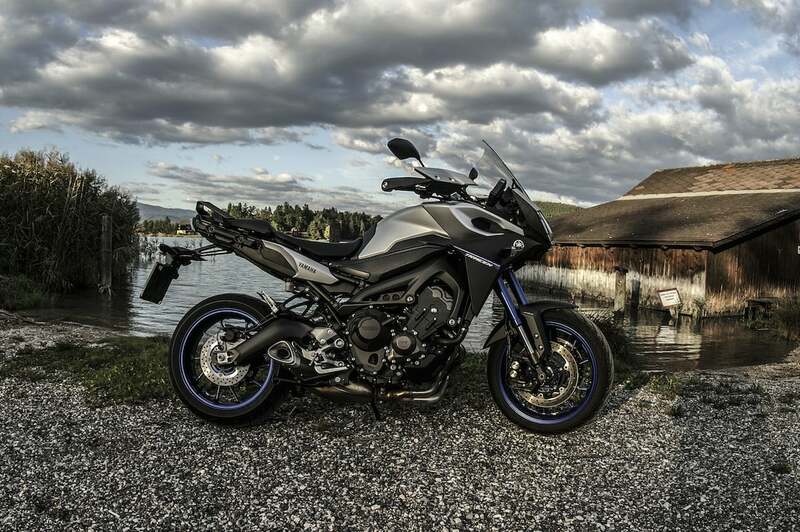 What we can say though is, that the MT-09 is lots of fun. Accelerating the three-cylinder engine from low revs up to higher levels produces lots of thrust. The max torque of 87.5 Nm can be reached at 8500 rpm and they are fairly noticeable. And that just makes us happy. Having engaged the right gear at the summit of the curve, one can hardly wait for the exit. Fuel valve on – up and away. But fuel valve is probably the wrong term here. 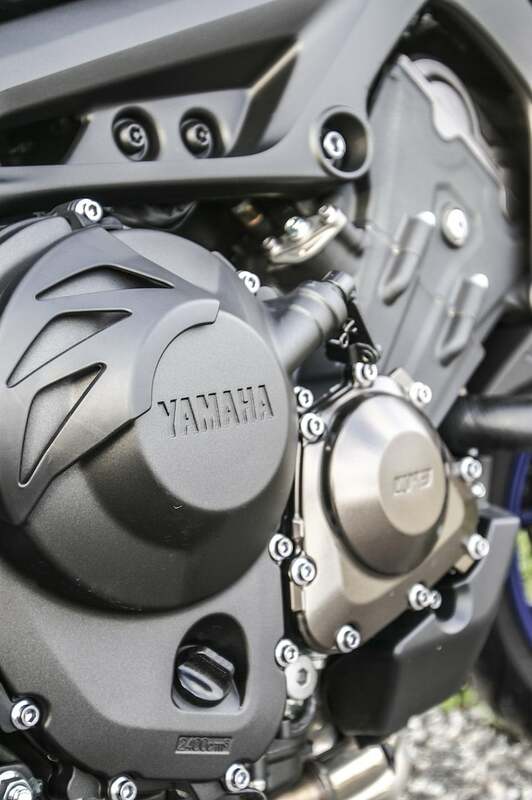 Yamaha builds in the so-called Chip Controlled Throttle (Y-CCT). The angular momentum is not transferred via a cord but rather electronically captured and forwarded to the enginge management. Advantage: At any given moment the control can determine the optimal valve opening (accelerator throttle position). Result: At any given moment you get ideal responding qualities and optimal acceleration. 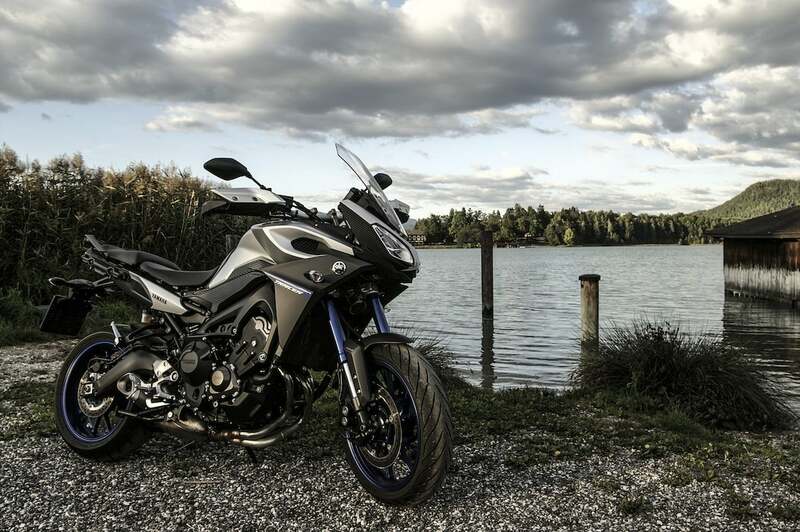 The MT-09 provides three different drive modes. We started out in standard mode with all the little electronical helpers. Being in that mode the Tracer can be driven marvellously pleasant. If you accelerate too hard the LCD display starts to flash nervously. We don’t know what exactly is regulated in these situations. But we do know that in that situation the bike would have preferred to move just on the back tire. The three-cylinder would still have had more energy – and you can feel that. The logical conclusion: drive mode to sport. The driving enjoyment is just pure now. 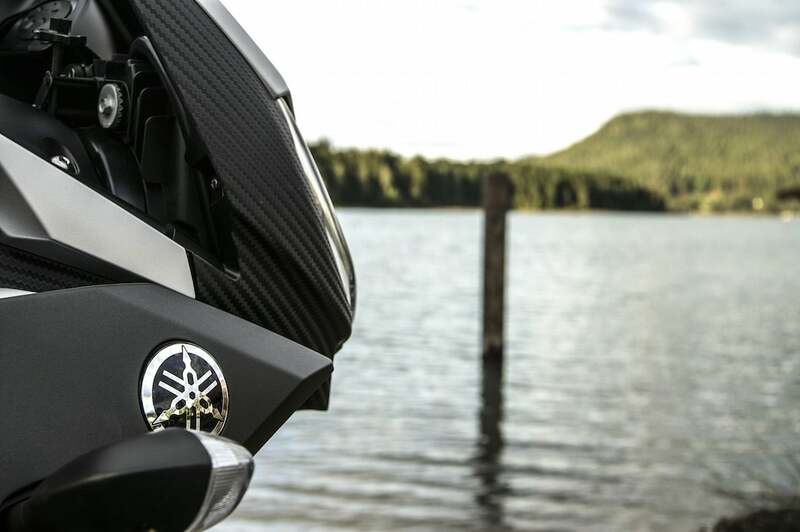 The engine feels more dynamic and agile – wow. 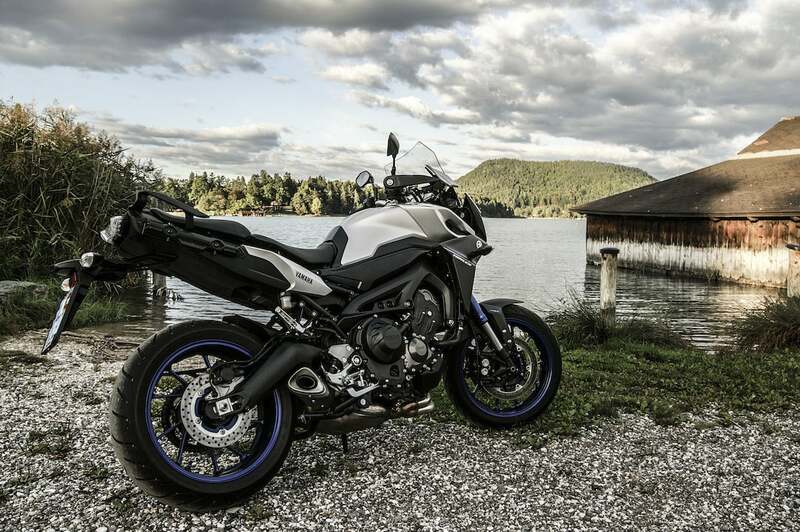 Unfortunately we have to return the MT-09 Tracer at some point. Quickly taking some pictures and back on the bike. The dusk was approaching as well. Anyway, we are excited. As fast and safe the Tracer brought us from the dealer to the lake, as fast we got back. Way too fast – in all respects. 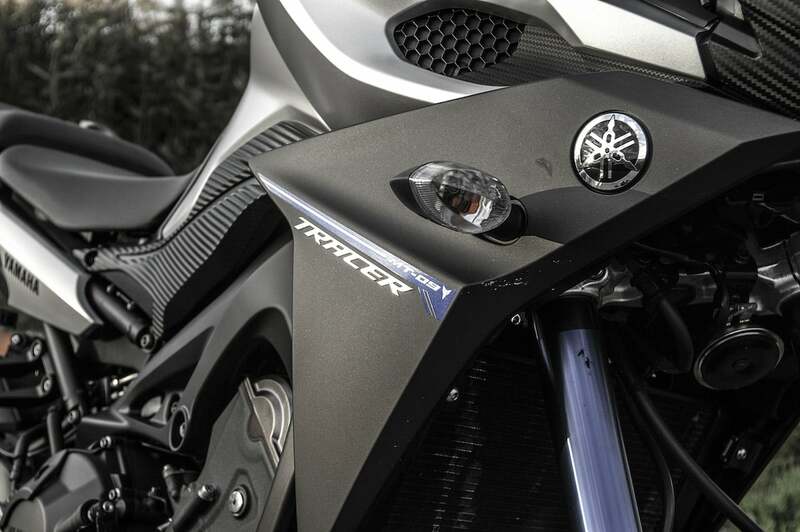 If you want to call the Tracer your own you have to fork out € 11,599.- (AT). What you get is an unclassifiable motorcycle (we still don’t know whether it’s a tourer, racer or whatever) with a mind of its own, balanced driving qualities and much space for driving enjoyment. Value for money: TOP! 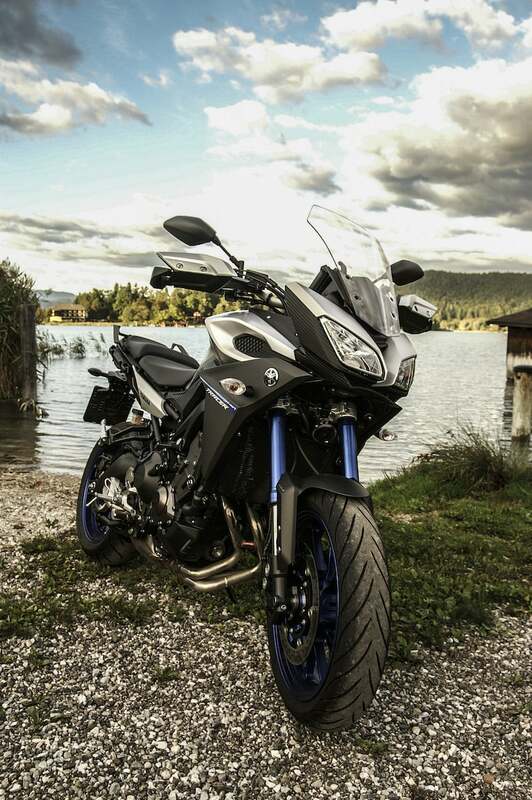 Zweirad GINZINGER for providing the YAMAHA MT-09 Tracer.